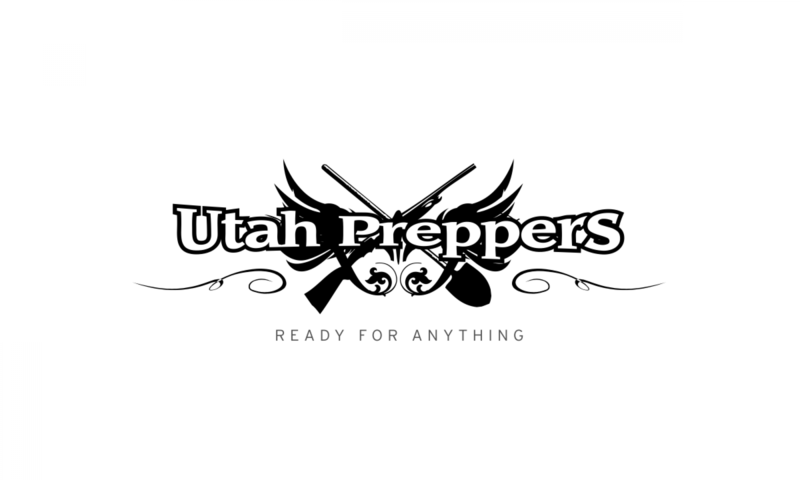 All Preppers know that in a TEOTWAWKI or WTSHTF situation or any other crisis event you’ve got to be able to start fires, especially in a Bug Out situation. We’re not talking about being able to get a spark here, we’re talking about strong tinder lighting capability. If you add moisture to the mix you’ve got an even more complicated and risky situation. Lets say you’ve bugged out, you’ve got all your Bug Out Gear with you, and it’s been drizzling a bit. The ground is wet, found tinder is going to be wet, the only thing that might be dry is your last couple squares of toilet paper – and you’ve got to have a fire. So what do you do? You put your last precious squares of TP wadded up on the damp ground and then set your damp twigs on top of it and use one of your 27 lighters or 6 other fire starters you have in your BOB to get it going. In less than a minute your TP has burned out and the ground and twigs are still damp – and your SOL. 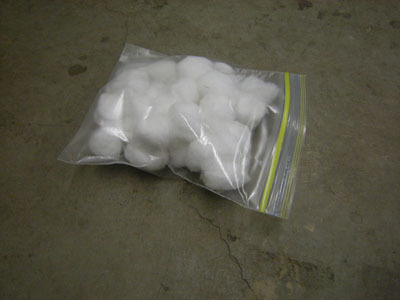 Enter a very simple prep – taking regular old cotton balls (100% cotton, none of that fake junk) that cost about $1.25 for a bag of 120 (that’d be the LARGE size cotton ball) and cover them with Vaseline which costs about $3.00 for a good size jar. Now you’ve got a very compact and light-weight water resistant starter that will burn strong for several minutes. 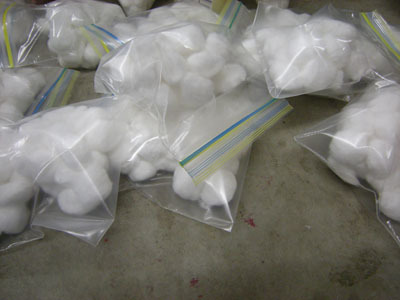 Transfer the cotton balls into a decent container – we used ziploc sandwich bags. 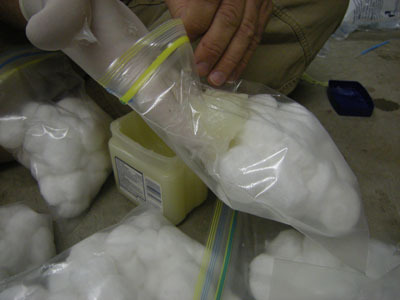 Put a handful of Vaseline into each bag and seal with a bit of air in them. Voila! You just made a baggie full of really killer fire starter. We made up a few. There are dozens of ways to make these, this just illustrates what I’ve found useful and easy. One of these baggies will go into mine and each kids Bug Out Bag (BOB) with several baggies going into my regular long-term storage. There are lots of ways to store them too, right now I’m just storing them in their baggie. To light the ball, you rip it part way open to expose the inner threads of cotton and spark against them. They ignite very quickly and the rest of the ball acts like a candle due to the vaseline covering. Once the ball has sat in jelly for a few days it will be water resistant. For about $14.00 we just put 600 reliable fire starters into our storage – not bad at all! This video demonstrates how long and how well the cotton ball burns once it’s covered in jelly, the other balls in this video are plain ole regular cotton balls. BlastMatch which is by far my favorite sparker of all time – grab one here if you don’t have one! Don’t be caught without the ability to easily and reliably make fire! Take the little amount of time and money these puppies require and you’ll always have the security of reliably starting many fires. I love these things. For carrying them though, I use one of two tools. First is the common 10-round paintball tube. Fits a load of these in a mostly waterproof, pretty strong, yet small container. The alternate that I’m using now in my own bag is and empty “Airborne” product container. Both the full-size, and smaller versions, when empty make a great holder for these firestarters. That is a great. Thanks. Also, wonderful site. A survival guy taught me to make these and then wrap each cotton ball in a small square of aluminum foil, making sure to double fold the edges. That keeps them safe from water. They don't weigh anything and you can stick a bunch in your pocket or pack. When you're ready to use, just cut an x in the foil and fold it back a bit, pull out some of the cotton, and light it up! Great idea! I am going to put this with our emergency preparedness items.